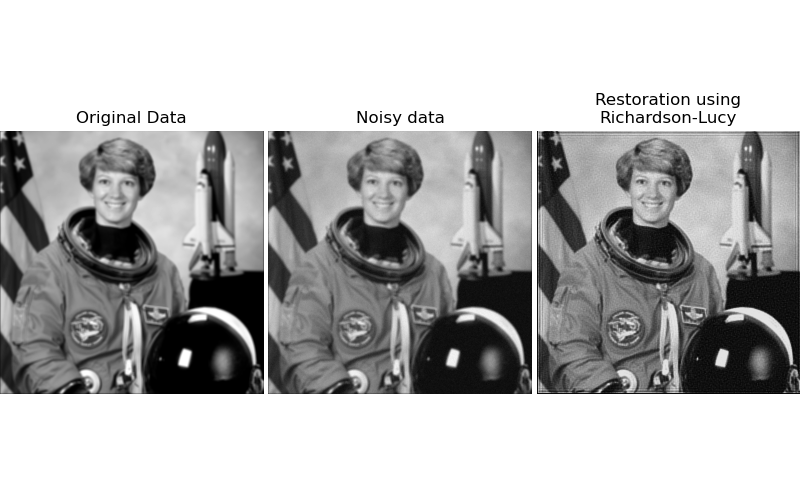 In this example, we deconvolve an image using Richardson-Lucy deconvolution algorithm (, ). The algorithm is based on a PSF (Point Spread Function), where PSF is described as the impulse response of the optical system. The blurred image is sharpened through a number of iterations, which needs to be hand-tuned. astro_noisy += (np.random.poisson(lam=25, size=astro.shape) - 10) / 255.